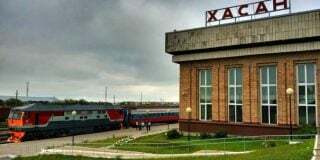 Editor’s note: We interrupt Andrei Lankov’s series on unification scenarios due to the announcement historic 7th Party Congress. The series will continue at the beginning of next week. To see previous installments click here, here, here and here. The four years of Kim Jong Un’s rule in North Korea have been full of unexpected turns and surprises. We have seen incidents without parallel in earlier North Korean history (like the high-profile purge and execution of Jang Song Thaek). We have also seen the revival of older traditions that seemingly had died with North Korea’s founding father, Kim Il Sung. One such revival happened in early October when the North Korean media made a shock announcement: the Workers’ Party of Korea, the ruling party in North Korea, would be holding its next congress, the Seventh, in May next year. Many a watcher probably did not realize why this was quite so surprising, but it is. Back in 1789, King Louis XVI, facing mounting financial problems, decided to convoke the Estate Generale, the French parliament of the time, for the first time since 1615. It was an institution with great power – at least, on paper. Observers understood that the king was under pressure, though it was not clear to what extent he wanted to change the rules of the political game. The Sixth Party Congress of the Workers’ Party met in 1980, before Kim Jong Un was even born, to crown Kim Jong Il successor to Kim Il Sung. The coming Congress will therefore be the first in 36 years. There is a remarkable parallel between Louis and Kim. Both chose to revive institutions that, while long dormant, were technically considered the major sources of power and legitimacy within France of the 1780s and North Korea of today. Obviously, both decided to do so to demonstrate the legitimacy of their authority. The Party Congress, like so many other institutions in the North Korean state, is essentially a Soviet invention – at least, in its current shape. The congress is also a reminder of the bygone days when, almost a hundred years ago, Leninist parties were not merely obedient and subservient to bureaucratic and authoritarian regimes. In fact, the revolutionary Marxist parties started out as genuinely democratic organizations in which lively debate was not merely tolerated, but encouraged. Indeed, revolutionary Marxists did not want to create the dictatorships that they eventually did – initially, they wanted to create a better, purer democracy. Thus, it was normal for representatives of party members to assemble regularly in order to discuss matters of policy and theory, elect the party leadership – in what were often vigorously contested elections – and amend party statutes and bylaws. In the Soviet Union, this tradition had all but disappeared by the mid-1920s. Party congresses quickly become highly ritualized gatherings in which nearly all votes were unanimous. During congresses, representatives delivered droning, dull, monotonous speeches that extolled the greatness of the party line and leadership – who usually picked them too. In the 1940s, with the establishment of the Communist Bloc, this pattern was copied wholesale by the communist countries of Eastern Europe and East Asia. The party congress is a meeting of a few hundred or thousand representatives, who are technically elected by party members. However, elections are a mere formality: There is only ever one candidate on the ballot, and his or her name is approved beforehand. Hence, for all practical purposes, candidates are pre-selected by mid-to-high party committees. Only a handful of representatives are permitted to speak at the Congress, and their speeches are usually edited or even written by bureaucrats from the Central Committee. On the one hand, we should not expect any initiative or spontaneity at such an event, but on the other, it means that all speeches faithfully reflect the current position of the party leadership. The general secretary or chairman of the party usually gives a statement of about 4-5 hours. The lengthy document provides a review of the party’s domestic and international policies. It might also contain some indications about coming changes in such policies, even though in most cases one has to take vague hints, reading between the lines. Nonetheless, in the golden age of Kremlinology, observers and analysts spent much time carefully analyzing official reports to the congress. Another function of the congress is to elect the Party Central Committee. Elections are predictably uncompetitive: All representatives unanimously vote for a long list of candidates. This list is compiled by the top party leadership prior to the Congress. The list is of great interest to analysts, though, because it provides the names and relative rankings of basically all top officials in the country. The names on the list are arranged in order of each member’s political significance as decided by the top political leadership. A CONGRESS OR A CONFERENCE? Party congresses should not be confused with party conferences. Initially, it was expected that a party congress would be held at regular intervals (every five years in North Korea according to the 1980 WPK statute). Party conferences, by contrast, can be convened at any time, to deal with urgent issues. In practice, the WPK has not convened a single congress since 1980, but since then it has held two party conferences in 2010 and 2012. 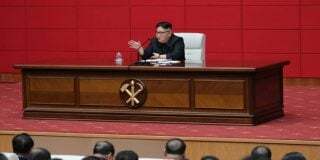 The Western media often mis-termed these meetings “party congresses,” but in official North Korean parlance they are very different events and are significantly less prestigious. So far, the WPK has convened six congresses. The first took place in August 1946, when the North Korean Workers Party was created through the merger of the Communist Party of North Korea and the New Peoples’ Party of North Korea. Such mergers were a standard requirement of Soviet occupying authorities across the Eastern Bloc of the time. Currently available Soviet documents clearly indicate that the decision to merge the two parties was actually issued by Joseph Stalin himself – even though, at the time, the Soviet role could not be openly admitted. Past party congresses helped establish Kim Il Sung’s supremacy. The first congress established the party statutes and program, which were remarkably similar to the documents of other ruling Leninist parties of the time. Among other things, the statute indicated that party congresses were to be held every year – however, not a single WPK Congress has ever been convoked in line with these regulations: the Second Congress met in 1948, while the Third Congress was postponed until 1956. Interestingly, in 1956, the statute was modified, with the interval between Congresses was changed to four years. This didn’t help, as the next Congress met in 1961, with the Fifth meeting in 1970. Finally, in 1980, the official interval was raised to five years. But as we know, the next congress is to convene 36 years later. The Third Congress in April 1956 was quite important. This was a time when Kim Il Sung was under great pressure from the Soviet Union. Soviet diplomats and officials expected North Korea, like the countries of Eastern Europe, to implement destalinization. This line was not to Kim Il Sung’s liking, so the third Congress was a remarkable show in which Kim Il Sung both professed loyalty to the Soviet Union and its party line, while also claiming, contrary to what was indeed quite obvious, that North Korea had no personality cult problem at all. 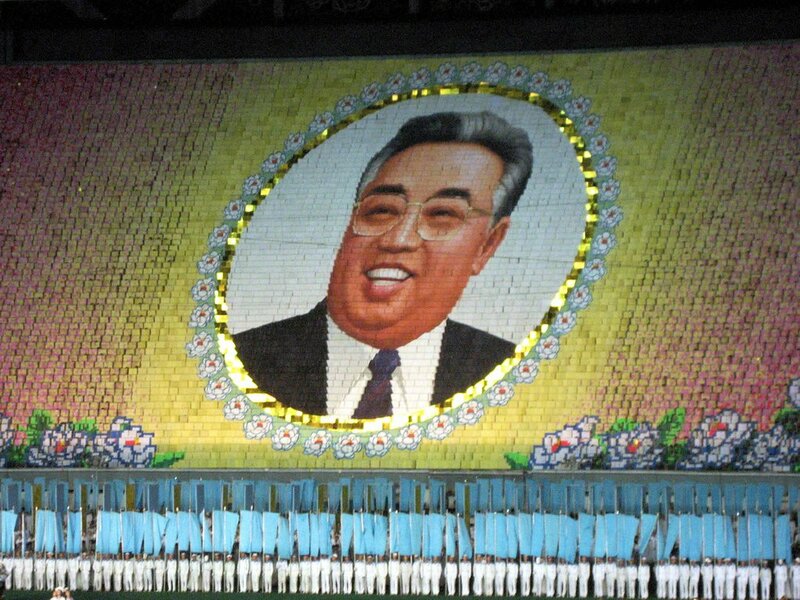 The Sixth Congress, held in 1980, was remarkable because Kim Jong Il finally entered the scene as second-in-command in the North Korean power structure and as successor. By that time, references to Marxism-Leninism had largely disappeared from party documents. The WPK technically redefined itself as a party of Kim Il Sung’s Juche idea. However, in practice, such verbal gymnastics had remarkably little impact, since for all practical purposes, the WPK remained a rather typical Leninist/Stalinist ruling party. It appears that in the late 1980s, the North Korean leadership decided to follow the official regulations, and have a party congress on time, for a change. Soviet documents indicate that there were indeed plans for such an event, but dramatic changes in the political and economic situation made it impossible for them to convoke. Congresses are supposed to be accompanied by lavish festivities, and in the late 1980s were a time when the North Korean economy was beginning to disintegrate. 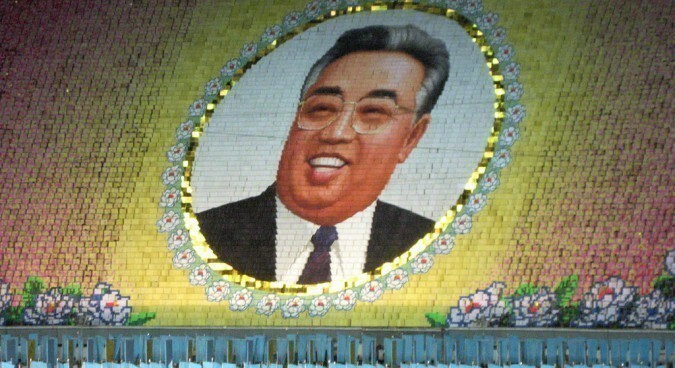 The 17 years of Kim Jong Il’s rule was a time when party institutions and rituals were often neglected. Kim Jong Il, in spite of his far from heroic looks and bohemian lifestyle, wanted to present himself as a tough soldier, above all, and wherever possible used the military as his principal power base. To an extent, he was probably influenced by the aftershock of the Soviet collapse that made the idea of a Leninist party-state decisively unfashionable. It is noteworthy that during Kim Jong Il’s rule, regular plenary sessions of the WPK Central Committee were almost never convened. It is also significant that Kim Jong Il’s formal assumption of high office after three years of mourning, was formalized not through party conference or congress, but by an extended gathering of top civilian and military leaders. Things began to change in the last years of Kim Jong Il’s life, when the party began to make a modest comeback. 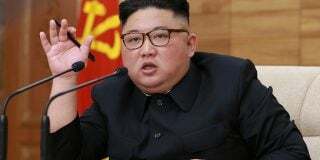 Such trends have intensified with the rise of Kim Jong Un – who clearly prefers to rely on civilian party bureaucrats while keeping the military under control. 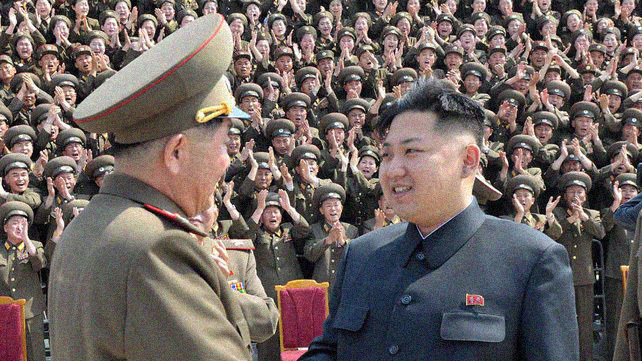 In a sense, Kim Jong Un has greatly sped up the revival of the party state. This all means that his decision to convene the Seventh Party Congress of the Workers’ Party, while rather unexpected, appears to be quite logical. But what should we expect? To start with, there is little chance that it will behave the way the Estate Generale behaved in 1789. The North Korean third estate is unlikely to demand full representation. Nonetheless, this does not preclude Kim Jong Un or his top lieutenants making some unusual announcements during the congress. At any rate, it will be worth scrutinizing the statements and documents that appear at the congress. The central party will soon start writing the words to be spoken by the exemplary steel workers and potato growers who will form the bulk of members there. Apart from the usual flattery and paeans to the greatness of the leadership, these documents are liable to contain some hints as to aims and beliefs of those at the top. But do not expect too much, even if the Congress heralds rather serious changes, as such changes are likely to be expressed through subtle innuendo and understatement. Another reason to watch is for the full list of top officials, complete with their rankings. This is a great gift for analysts who deal with issues of personal politics, given the veil of secrecy that North Korea often casts over such matters. At any rate, living fossils are always interesting. An animal that we all thought dead is beginning to walk again, stretching its legs and opening its mouth. This is the show that Pyongyang watchers are to be treated to this coming spring. Subscribe to read the remaining 1886 words of this article.